CHAMBERSBURG, Pa. -- In late October, Letterkenny Munitions Center participated in a time study conducted by Joint Munitions Command, Rock Island, Illinois, to determine the feasibility of supplementing the use of traditional lumber enterprise-wide with Walnut Industries, Inc.'s Ty-Gard for securing and shipping munitions in support of U.S. Army readiness. Walnut Industries is a safety-and-shipping restraint solutions company located in Bensalem, PA. The team from JMC, LEMC's higher headquarters, is looking for potential cost, time, resources, and space savings over the traditional lumber method for shipping future Army requirements. In order to test the Ty-Gard method, which supplements, but doesn't completely eliminate the use of lumber for securing munitions for shipping. LEMC's blocking and bracing technicians were first trained to use Ty-Gard by a Walnut Industries representative. Then, the JMC team conducted time studies on both the original blocking and bracing method and the new Ty-Gard method. "Ty-Gard has the potential to be a great alternative to lumber for blocking and bracing of munitions for both outloads and routine sustainment missions," said Joel Neujahr, Program Analyst, LEMC. 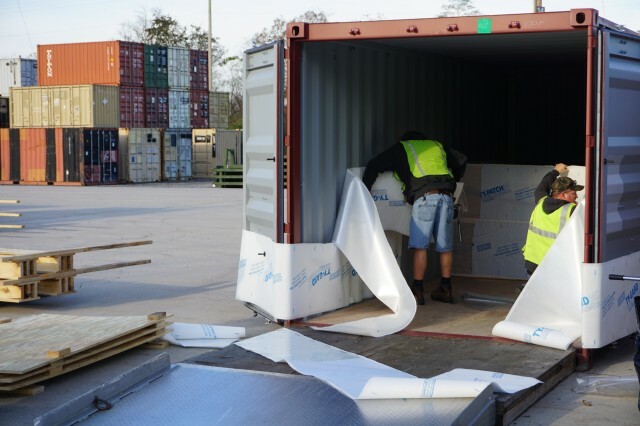 In the near future, the secured shipping containers will be sent to their destination point, at which time, JMC representatives will be onsite to inspect the containers and contents, as well as conduct additional time studies on the unpacking of the shipping containers for both methods. "Ty-Gard is lighter, takes up less space, and is less expensive than lumber. Also, it doesn't have a commodity price that is affected by natural disasters and world events and doesn't require nearly as much material, time, and resources as traditional blocking and bracing," stated Neujahr. 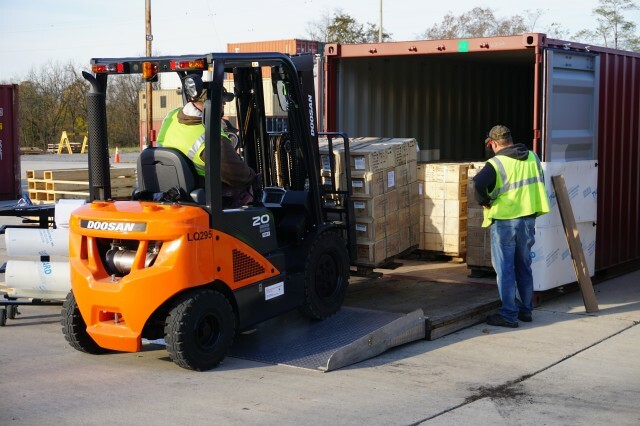 "Additionally, dependent on the type of munitions and pallet configurations, in certain situations, we can fit more ammo pallets in each container using Ty-Gard, reducing the number of containers needed to ship the munitions," added Aaron Howsare, Area Shipping and Blocking Bracing Supervisor. "As LEMC and the enterprise continue to improve upon productivity and effectiveness to meet future Army requirements, Ty-Gard products have the potential to save the Army costs associated with lumber, as well as time related to initially constructing necessary blocking and bracing at the depots and subsequently removing it at the destination." "We expend a lot of energy as an enterprise 'leaning' out our processes," said Lt. Col. Jeffrey Ignatowski, LEMC commander. 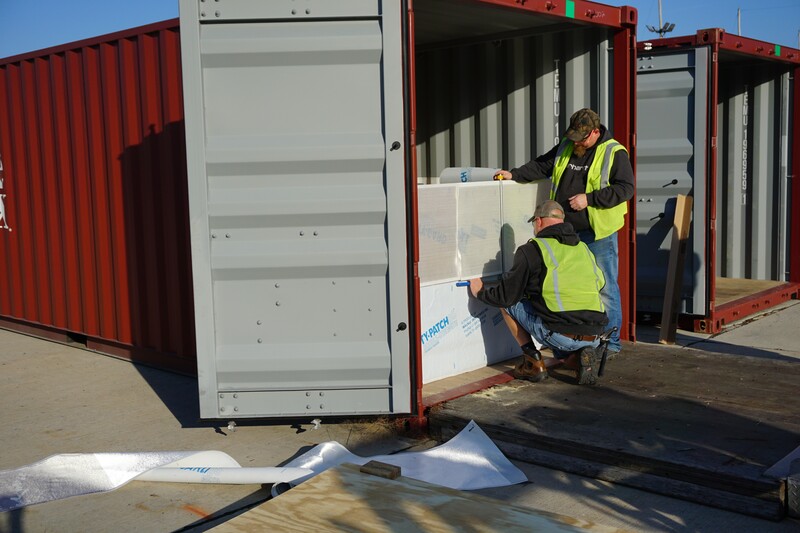 "Ty-Gard actually offers the potential to make immediate impacts to cost structure, time, supply chain, and our environment. It's exciting to be at the tip of the spear for enterprise-wide change."